What is the Prescott Annual Benefit? Previously known as the Prescott Annual Auction Fundraiser, the Prescott Benefit is the largest annual fundraiser for our beloved school, and provides funds for important projects chosen by the school’s administration and teachers. Funds raised in the past have been allocated to technology, academic programming/classroom supplies and professional development. When and where is the Benefit being held? The 2019 Prescott Parents Annual Benefit will occur on Saturday, March 2, 2019 from 7:00 p.m.-11:00 p.m. at Stratford on the Park, 2300 N. Lincoln Park W., Chicago IL 60614. This year, we’ve had a fantastic opportunity with Lettuce Entertain You who generously offered their Stratford on the Park location, one of the premier event facilities in Lincoln Park. Stratford on the Park offers Lettuce Entertain You-quality food and drinks, along with professional event management and staff. The new location presents a savings over past venues, permitting Prescott to generate more funds directly for school use. Early bird tickets are $55 per person. A limited number of tickets will be sold at the door on the day of the event for $65 per person. Tickets include heavy appetizers with a buffet station and dessert, along with 2 drink tickets. There will be a cash bar after drink tickets. Valet parking is available for $14 plus tip. In past years the ticket cost has not completely covered the actual event cost. This year, we are starting to close that gap by raising the ticket prices. The Prescott Auction Committee works hard to keep costs down so even more of the funds raised at this event can go directly towards supporting Prescott School. Expect to have a great night out, socializing with teachers, staff, parents and supporters of Prescott school—while raising funds to benefit our children’s education. Attendees will receive 2 drink tickets, with a cash bar after drink tickets. There will be heavy passed appetizers, followed by a buffet station and dessert. There will be music and entertainment, a silent auction with bidding opportunities on fantastic items donated by local businesses, one-of-a-kind teachers’ experiences, teacher wish tree, and a live raffle drawing. Bring your smartphone to participate in the online auction, and bring cash to pay for raffle tickets, valet parking and tip, and the cash bar. Dress code is smart casual. How can I purchase event tickets and raffle tickets or give a donation? You can purchase event tickets and raffle tickets and give a donation through the auction website here. 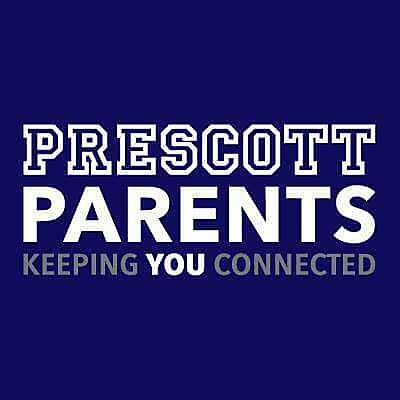 As soon as the site is live, Prescott Parents will send an announcement by email, social media, plus a flyer sent home in backpacks. Additionally, raffle tickets will be distributed and sold at school. How can I get involved in the Prescott Parents Annual Benefit 2019?